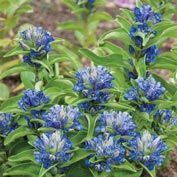 Blue Cross Gentian | Gurney's Seed & Nursery Co. Giving off a dramatic blue and cream bicolor effect, these compact, bushy, flowers grow to be 8- to 10-in. tall and have a 12- to 18-in. spread. In partial shade to full sun, Blue Cross Gentian is a hardy, bright, beautiful and easy-to-grow variety. It is also ideal for hummingbird and butterfly gardens! Zones 3-7. 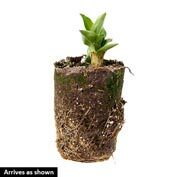 Depth: Plant at the same depth it is in the pot. Water well. Flower Form: Cream buds open to intense blue flowers for a dramatic bicolor effect. Comments: Giving off a dramatic blue and cream bicolor effect, these compact, bushy, flowers grow to be 8 - 10 inches tall and have a 12 - 18 inch spread. 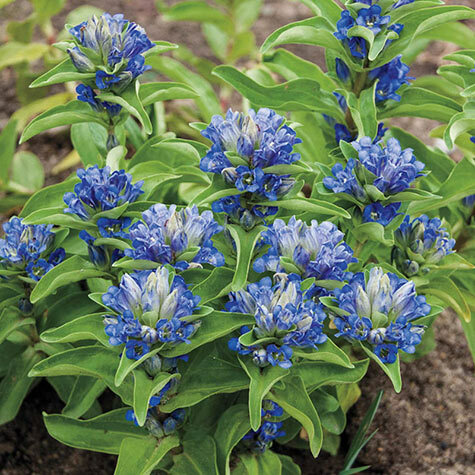 In partial shade to full sun, Blue Cross Gentian is a hardy, bright, beautiful and easy-to-grow variety. It is also ideal for hummingbird and butterfly gardens!